Please wear a black wrist band tomorrow, 03/22/12, in silent protest of the execution of William Mitchell by the government of the state of Mississippi. Mr. Mitchell will be poisoned to death for the 1995 murder of Patty Milliken. William Mitchell serve his country in the armed forces during his youth. He has a long and demonstrable history of mental illness, an issue never researched by his incompetent trial lawyers. 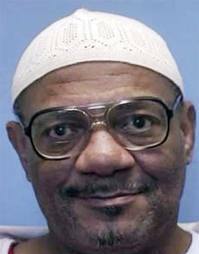 In the United States of America, we should not execute our mentally ill, but instead provide them treatment. Mississippi may not send William Mitchel to his death! William Mitchell was poisoned to the death on 03/22/12 by the government of the state of Mississippi for the 1995 murder of Patty Milliken.